Though they have comparable prevalence of mental illness, American racial and ethnic minorities are less likely to receive mental health services than white Americans. Minorities are often part of racial and ethnic social networks, which may affect mental health service utilization in two ways. While these networks can encourage service utilization by working as a channel of knowledge spillover and social support, they can also discourage utilization by stigmatizing mental illness. This study examined the association of racial and ethnic social networks with mental health service utilization and depression diagnosis in the USA. Using the 2012 Behavioral Risk Factor Surveillance System (BRFSS) data, a multilevel mixed-effect generalized linear model was adopted, controlling for predisposing, need, and enabling factors of mental health service utilization. The association of racial and ethnic social networks with mental health service utilization and depression diagnosis was significant and negative among African Americans. Despite having a comparable number of bad mental health days, the association was insignificant among Hispanic, Asian, and non-Hispanic white respondents. An African American living in a county where all residents were African American was less likely to utilize mental health services by 84.3–86.8% and less likely to be diagnosed with depression by 76.0–84.8% than an African American living in a county where no residents were African American. 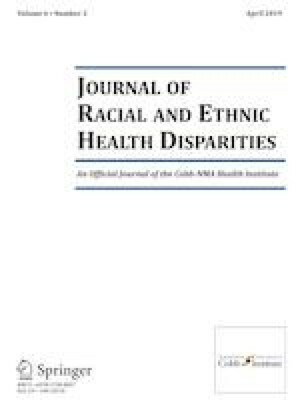 These results suggest racial and ethnic social networks can discourage mental health service utilization and should be engaged in efforts to improve mental health, particularly among African American communities in the USA. Sung W. Choi, Christal Ramos, Kyungha Kim, and Shahinshah Faisal Azim declare that they have no conflict of interest. Although retrospective studies are conducted on already available data or biological material (for which formal consent may not be needed or is difficult to obtain), ethical approval may be required dependent on the law and the national ethical guidelines of a country. Authors should check with their institution to make sure they are complying with the specific requirements of their country. Multiple analyses were conducted to test the sensitivity of the main regression results. Firstly, we ran the main regression model only for those who had more serious mental health concerns. If those who had more serious mental health concerns are concentrated among a certain racial and ethnic group, then the association of disease severity with mental health service utilization may have driven the estimated association of racial and ethnic social networks with mental health service utilization among the group. Hence, we ran the main regression model only for those who had more than 15 bad mental health days per month, and the sensitivity analysis results were consistent with the results from the main regression including the entire sample. In addition, we ran the main regression model only for those who live in counties with fewer English speakers. If a certain racial and ethnic group had more people whose primary spoken language is not English, then the association of limited English proficiency with mental health service utilization may have driven the estimated association of racial and ethnic social networks with mental health service utilization for that group. Unfortunately, BRFSS does not include any English proficiency variable at the individual level, so we ran the main regression model only for those who lived in counties with fewer English speakers. Again, the sensitivity analysis results were consistent with the results from the main regression including the entire sample. Moreover, we checked whether racial and ethnic social network is significantly associated with mental health service utilization and depression diagnosis variables in only low-income areas. Minorities in the USA have disproportionately been living in low-income areas. In that case, the association of racial/ethnic social network with mental health service utilization and depression diagnosis can be biased by the impact of living in a low-income area. We defined low-income areas as counties where average income was less than 80% of the state mean. In addition, we also analyze the association of contact availability with mental health service utilization and depression diagnosis variables. The significance and magnitude of the racial/ethnic social network variable remained consistent with the main regression results. Finally, we performed one falsification test to confirm whether placebo effects of racial/ethnic social networks exist for another outcome that is assumed to be irrelevant. We tested one dependent variable: injurious falls in the last year requiring the respondent to visit a doctor’s office due to limitation in activities of daily living. We assumed that living in communities with high racial and ethnic concentration does not affect the probability of an injurious fall. We found no association of racial/ethnic social networks with the probability of injurious fall. Behavioral Risk Factor Surveillance System. (2012). Behavioral Risk Factor Surveillance System Questionnaire. Retrieved from http://www.cdc.gov/brfss/questionnaires/pdf-ques/2012_brfss.pdf. Accessed 25 March 2019. Center for Disease Control and Prevention. (2013). Mental illness: mental health information. Retrieved from https://www.nimh.nih.gov/health/statistics/mental-illness.shtml. Accessed 25 March 2019. Center for Disease Control and Prevention. (2015). The Behavioral Risk Factor Surveillance System. Retrieved from http://www.cdc.gov/brfss/index.html. Accessed 25 March 2019. National Institute of Mental Health. (2017). Statistics: mental illness. Retrieved March 26, 2018, from https://www.nimh.nih.gov/health/statistics/mental-illness.shtml. Accessed 25 March 2019.